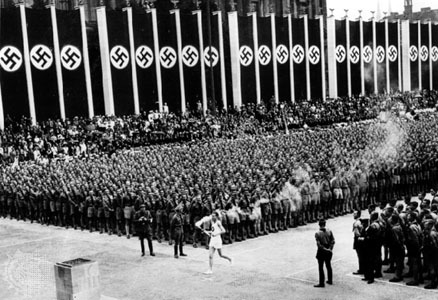 The modern Olympic torch relay was propaganda when it was first invented by Hitler’s Germany in 1936 and it is propaganda for another totalitarian regime in 2008. The presence of such propaganda in our city of Canberra required special police powers to sustain. 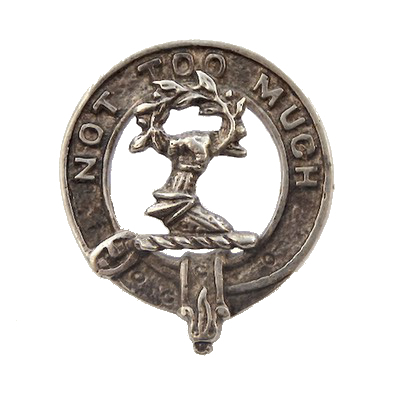 (This is not a criticism of the our local police, who generally do their job well, but of those who give them their orders.) The Australian Capital Territory police had additional temporary powers to deal with protesters in Canberra amid fears of violent clashes during the Olympic torch relay. 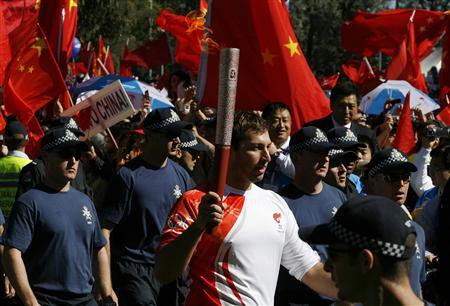 I was glad to note that Chinese officers escorting the torch would be arrested if they “laid a hand” on anybody during the Canberra leg of the Olympic torch relay. 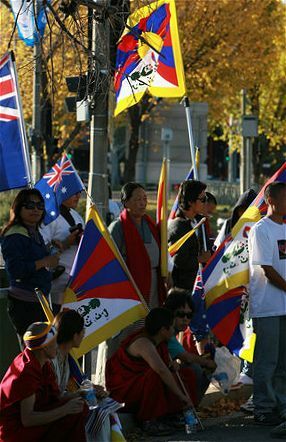 Chinese organisers had warned pro-Tibet protesters not to provoke Chinese students, who may travel Canberra to protect the torch. There are thousands of Chinese nationals studying in Australia. I wished the relay were not happening near my home and that we did not have to spend local money enabling pro-China propaganda. The Beijing Olympic Torch Relay cost Canberra’s people the absurd amount of $125 per metre, a total of over to $2 million. 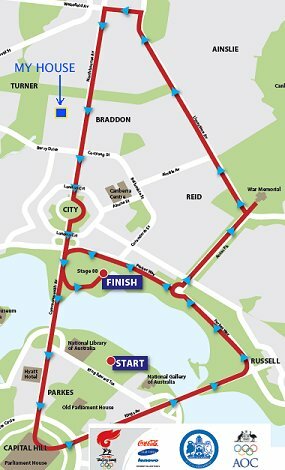 Security concerns have shortened still further—to 16km—the already farcical Canberra leg of the relay and restricted it to wide main streets rather than weaving in and out of the city. The new path was revealed only 48 hours before the torch arrives here. The Chinese Embassy in Canberra was dumped from the route because of concerns it would be a magnet for violent protests. Garema Place and Bunda Street in the heart of the city were dropped, as well as the Chinese embassy, with Falun Gong supporters maintaining their eight-year vigil across the street. Security barriers and fences, close to our home, made a mockery of a people’s celebration of the ‘glory of sport’. Chief organiser, Ted Quinlan said,”It’s quite clear we would have liked to have used some narrower access ways, particularly through Civic, to get closer to the people and spent more time in the narrower access ways within the Parliamentary Triangle, but now a major criterion is the ability to keep the whole thing secure.” Mr Quinlan said organisers were prepared for the “lowest common denominator” showing their hand and being “more interested in a little day of anarchy”. As a result the relay route had to be “highly secure”. “Unfortunately, because that is the case, the view of the relay and our ability to bring it much closer to the people is inhibited.” There are also concerns of a ‘ratbag element’ infiltrating the protests, with Foreign Minister Stephen Smith fearful of an “Olympic torch equivalent of football hooliganism”. Pro-Tibet groups asked protesters not to hijack the torch relay, saying it would only be counterproductive to their cause. A Canberra Chinese Students and Scholars Association spokesman said he expected up to 500 local students and 2000 interstate students to attend the torch relay as a show of support for it. Ian Thorpe was well protected as he completed the final leg of the 2008 Olympic torch relay in Canberra. Northbourne Avenue in the inner city of Canberra was dominated by Chinese flags as the Olympic torch passed morning. It was as if the 5,000 or more students who had bused in from as far away as Brisbane were applying the ‘human wave’ principle to overwhelm their opposition. They chanted loudly, even outside the Australian Federal Police HQ. Not many locals lined the route; most were at work on this Thursday morning and in the city most were simply waiting to cross the road . 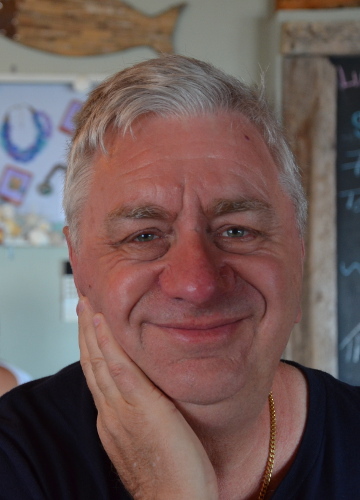 Some news broadcasters said they found it hard to find a local Canberran for a comment. Some went before work to the early morning ceremony beginning the relay, but most of the guest chairs were empty. A deserved thrill for the runners, a patriotic buzz for the Chinese students, an agony for the pro-Tibet protesters, and a big (expensive) yawn for everyone else. The behaviour of Chinese students in Canberra during the Olympic torch relay was bad, but in Seoul it was much worse. Aided by their embassies, the Chinese students created much ill-will toward themselves in Australia, Korea and elsewhere. The Beijing Olympic torch relay began its South Korean leg with cheering flag-waving Chinese vastly outnumbering protesters amid a huge police presence. No less than 60 police runners accompanied the torch, part of a security operation involving 8,300 regular and anti-riot officers. As in Canberra, thousands of badly-behaved young Chinese assembled in Seoul to ‘defend’ the Olympic torch relay. Unlike in Canberra, however, some pushed through police lines, hurling rocks, bottled water and plastic and steel pipes at protesters. In Seoul the hot issue was China’s forced repatriation of North Korean refugees, who face torture and execution. But pro-China demonstrators in their thousands vastly outnumbered protesters. Activists say China has been stepping up repatriations before the Olympics and has increased the rewards it gives for tip-offs. When protesters demanded that China stop repatriating North Korean refugees, they were quickly surrounded by jeering Chinese. 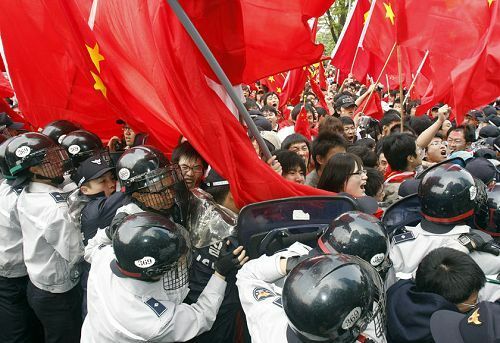 Near the park, Chinese students surrounded and beat a small group of protesters, news reports said. In the city centre, Chinese surrounded Tibetans and South Korean supporters who unfurled pro-Tibet banners, and kicked and punched them, witnesses said. 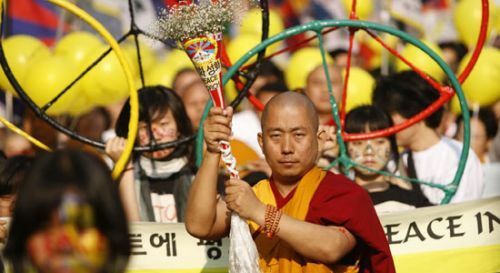 South Korea says it will deport Chinese citizens who assaulted demonstrators during the torch relay in Seoul. Some Chinese threw rocks and other objects at the protesters, angering South Koreans. The violence surrounding the relay has stimulated strong anti-China commentary and demonstrations. “It was an incident that got people wondering how a country of 1.3 billion people will face the world when it clings to such narrow-minded nationalism,” said Joong Ang Ilbo. South Korean activists protested yesterday near the Chinese Embassy in Seoul, condemning the Chinese government for promoting the violent protests. A group of South Korean civic activists plan to sue the Chinese Embassy and an association of Chinese students, demanding an apology and compensation. China’s ambassador to Seoul, Ning Fukui, said he regretted the “extreme behaviour” of the Chinese protesters, but the Chinese Foreign Ministry, however, refused Tuesday to condemn the students’ actions and blamed pro-Tibetan protestors. (Source: IHT) Supporters of Tibet staged their own ‘torch relay’. Jack Waterford, distinguished editor of The Canberra Times, describes how the participation of the Chinese students in the Canberra leg of the relay was very much the work of the Chinese embassy, although the participation of the students was enthusiastic and willing, not coerced. 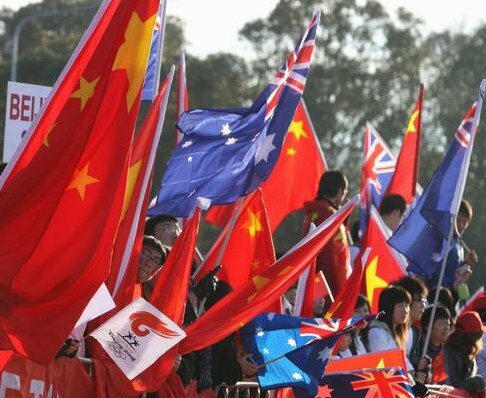 “The emergence, and, in their terms, effectiveness of the red Chinese army in Canberra yesterday was a stunning success for a Chinese embassy intelligence operation which has long maintained close surveillance on most of the nearly 100,000 Chinese students in Australia, and which controls most of the Chinese student associations. Most of the expenses, and virtually all of the organisation, down to transport, accommodation, strategies, tactics, marshals, face markings and issues of Chinese flags, was arranged by the embassy, which has good reason to think that what occurred overwhelmed protests about Chinese actions in Tibet, other ethnic regions, treatment of the Falung Gung, or actions in Iran, Darfur or Zimbabwe. By comparison with the value of international and Chinese headlines reporting basic calm, a few arrests, local shock and official distaste in Canberra for the ruthless efficiency of the operation is of little moment.
. . . 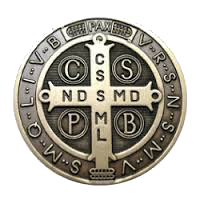 It was not threats, real or implicit, that mobilised the students, even if a good many of them understand perfectly well that negative reports could make life unpleasant back home, including for members of families. . . . It was by appealing to a sense of pride, a sense of siege from “unfair” criticism, and a strong belief by many ordinary Chinese students that the upsurge of affected interest in Tibet, or criticism of China, is itself a staged intelligence operation by China’s enemies. Even in genteel Canberra the behaviour was not good. Some sections of the Chinese were ugly and aggressive, screaming abuse at Tibetan supporters and giving Tibetan monks the finger. (Some Tibetan demonstrators, too, seemed to want to provoke a response, repeatedly walked past the aggressive section of the Chinese crowd). There were complaints of Tibetan supporters being roughed up and their flags being smothered.